This popular, bushy evergreen shrub makes an excellent groundcover that provides visual interest year-round. 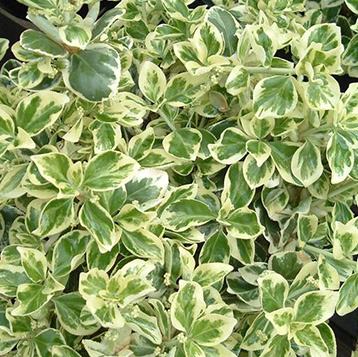 Variegated Euonymus has attractive green and cream/white foliage that does well in full to partial sun. Ground Cover is available under perpetual care only. Please contact us if you need help determing the size of your planting bed. Download the form to order by mail.